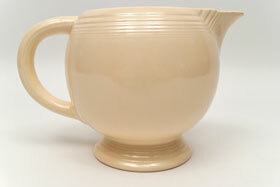 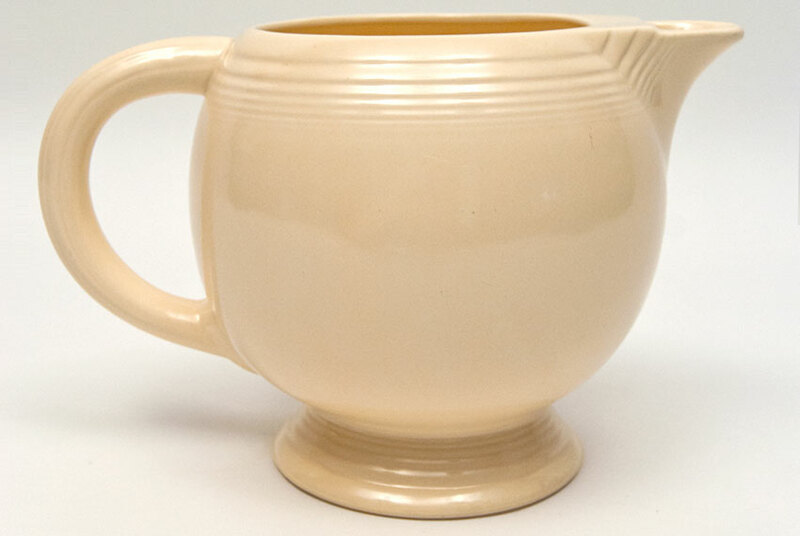 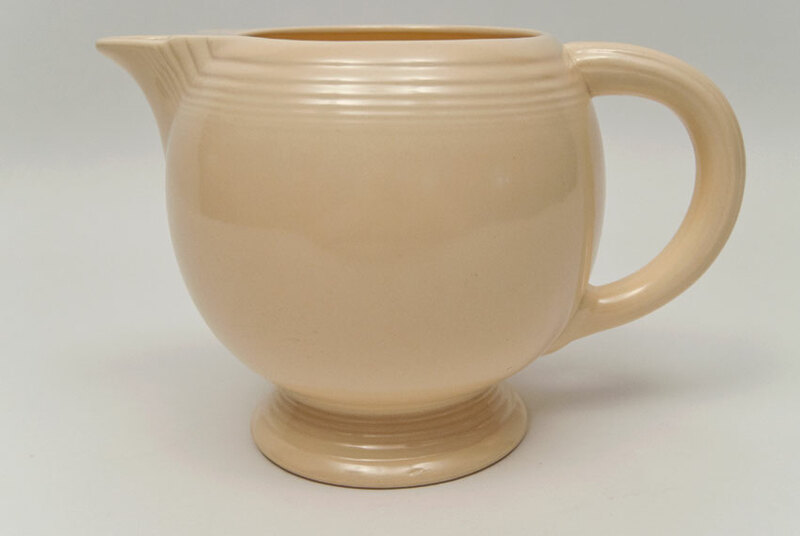 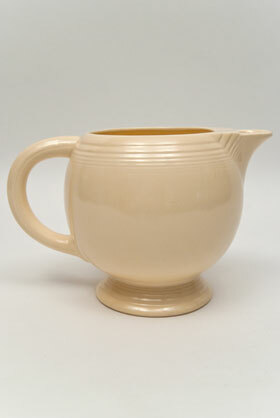 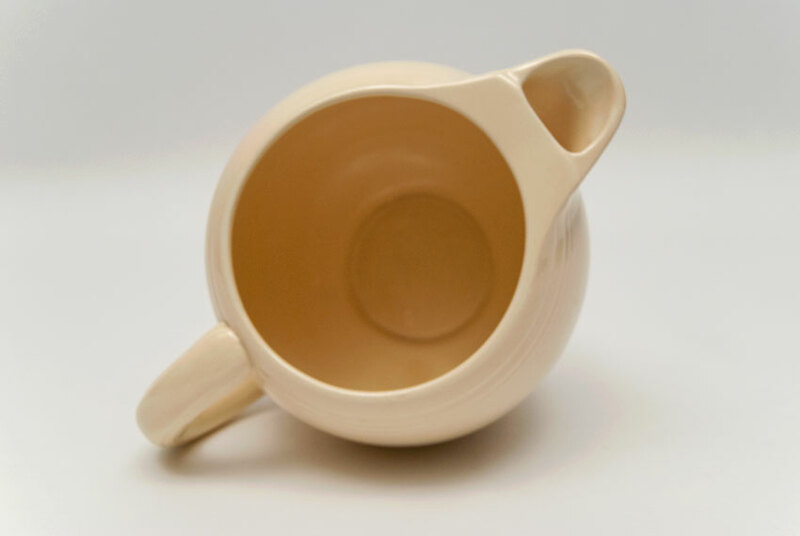 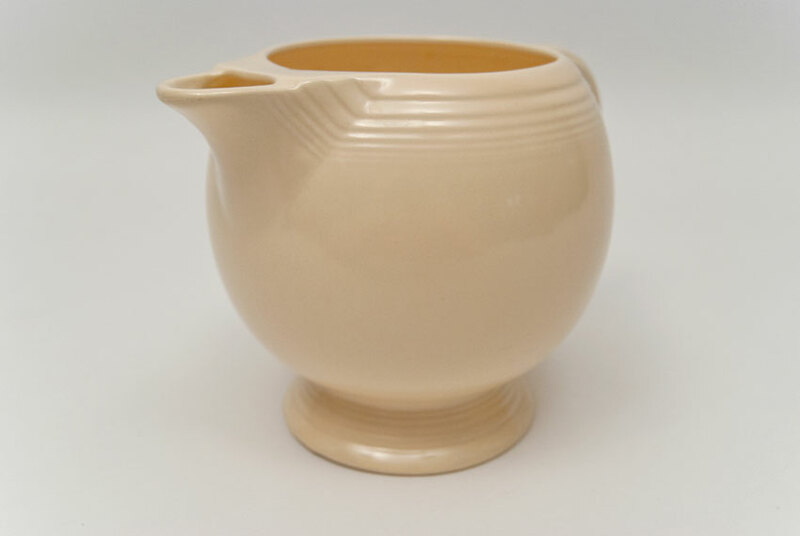 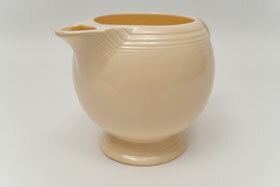 Circa 1936-1946: Part of the original Fiesta pottery line, the ice lip pitcher was produced for a scant ten years. Only found in the original six colors, the vintage fiesta ice lip pitcher is a delight to find at all and especially in the ivory, which proves to be the hardest of the original six colors to fine. 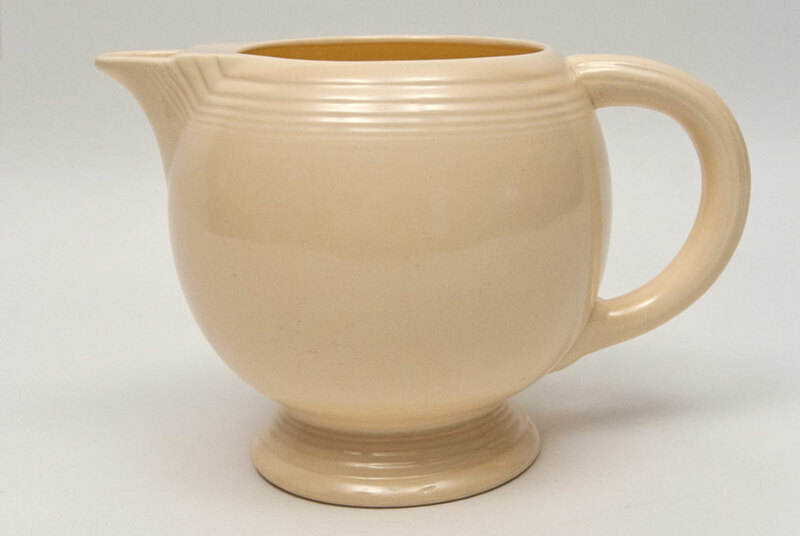 This example is in spectacular condition and is a piece that really delights in person, holding over 60 ounces and measuring over 9" from tip of spout to back of handle. 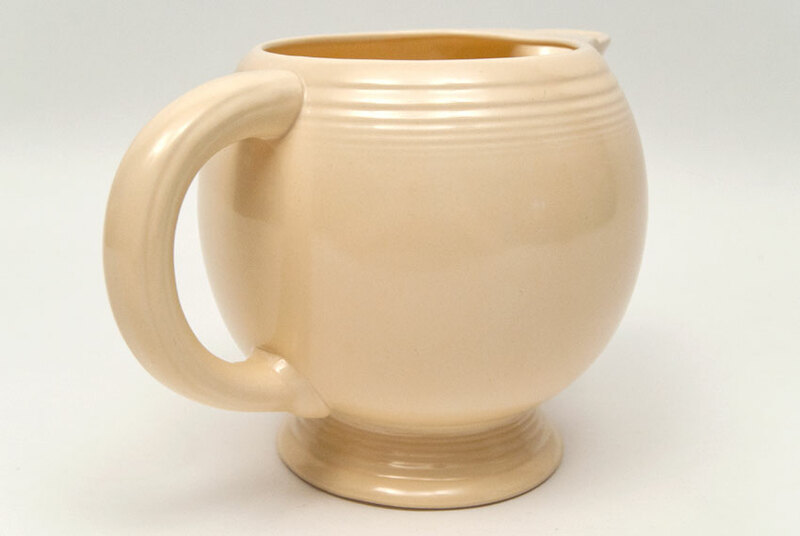 This is an example of another piece of holloware that was slip cast with lots of detailed hand craftsmanship that included smoothing the interior and seams along with joining the separately slip cast handle by hand. 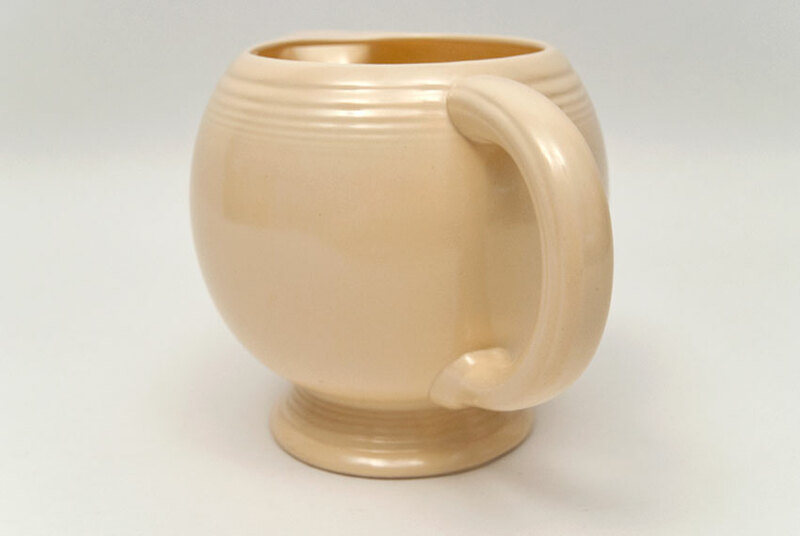 The simple round form harkens to the design of the mustard and marmalades, lending a consistency to the entire fiestaware line. 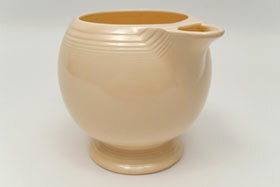 Never meant to have a lid, the lip is covered perfectly to keep your ice in the pitcher, thus its name. 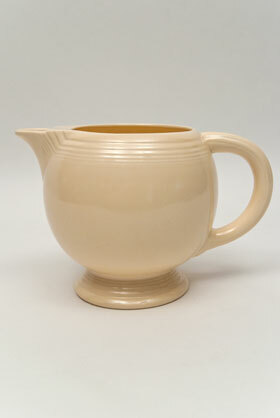 This example measures 6 3/8" tall and an impressive 9 3/4" wide from tip of spout to rear of handle.